All MAHAGONY HILLS homes currently listed for sale in Park City as of 04/25/2019 are shown below. You can change the search criteria at any time by pressing the 'Change Search' button below. "Whether you are looking for a full-time residence, a second home or an investment home, this property provides you with endless possibilities. 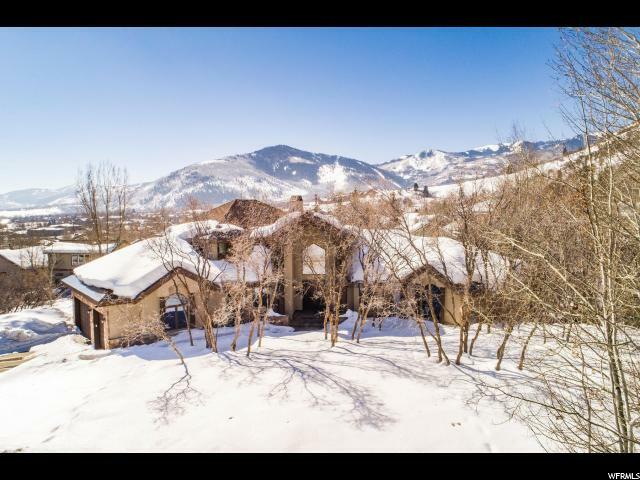 Situated in Park City's desirable Sun Peak neighborhood less than one mile from the Canyons Village at Park City Mountain Resort, this home offers an excellent location with no neighboring home or lot to the east and a natural area with trails behind the home. Excellent ski hill views of Park City Mountain Resort to the south and a private, flat back yard that also faces south. Eight bedrooms that include a one bedroom mother-in-law apartment on the lower level with an exterior entrance. The Sun Peak HOA operates an outdoor pool and tennis courts for homeowners in the summer and year-round access to a fitness center and clubhouse. These amenities are only a short walk on the trail system from the home. Located in the Park City School District. Sq. ft. source is appraiser's measurement, buyer to verify."